In this blog, we’ll be talking about one of the Directors of our firm, Lee Stratton. Lee’s story is an impressive one, and to get an appreciation of just how quickly Lee climbed the ladder of success, we need to go back to the beginning. Lee hadn’t given much thought to becoming an accountant until one particular maths lesson when he was in Year 10. During this lesson, Lee’s maths teacher commented that he would make an excellent accountant, and for some reason, this stuck with Lee. With his teacher’s message ringing in his head, Lee chose to do work experience at a local accountancy firm. Lee then returned to school after two weeks of work experience with a clear goal in mind, to become an accountant. At the age of 16, Lee began studying his A-Levels at Sixth Form. During this time, Lee also found himself a job as an Apprentice Butcher at the supermarket, Morrisons. Lee worked as a Butcher for two years until he completed his A-Levels. It was during 2005 that Lee joined us, and it was during 2015 that he assumed the role of Director. To become a Director within just 10 years is rather impressive, as I’m sure you’ll agree. The most interesting thing about this is that this wasn’t the only time that someone has progressed through the ranks so quickly. In 2017, Daniel Overton became a Director after just 10 years too – having initially started in 2007. The fact that not one, but two people who started at the company with trainee positions have gone on to become directors within the space of just 10 years is a testament to our nurturing working environment. Since Lee started his career at Aston Shaw, he has become an expert in his field. 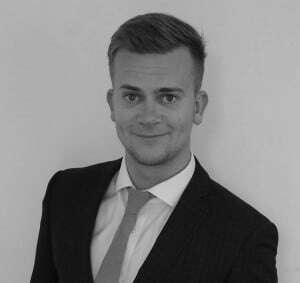 Lee has developed an extensive knowledge of varying trade sectors, particularly in the areas of care, construction, engineering and hospitality. While Lee’s butchering days are long behind him, he’s still a dab hand at carving the meat ready for a Sunday Roast! To find out how you can start your journey at Aston Shaw, please check out our careers page.